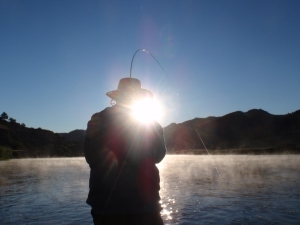 Planning a fishing trip is a big deal.Once you mention it to your friends, you’ve got a stream of opinions on where to go, when to go, and who to fish with. And that’s okay, good friends look out for your best interests. In the end, though, it is your decision and hopefully one that will excite your friends. Truth be told. Whether we are talking about Lewis & Clark Expeditions Smith River float trips or a Healing Waters Lodge fly-fishing vacation, the majority of our customers are long time repeat customers. Relationships form, friendships forge and we get excited to go fishing together again and again. Plain and Simply. It really is all about the fishing. (Boy, if I had a dime for every time I’ve heard that line.) Fly-fishing is such an individual experience. Our guides quickly dial in to what you are looking for in that experience and work hard on your behalf to make it happen. Now is the time to book. We are at your service 24 hours a day, seven days a week. Please call us if you have any questions about the services we provide or for reservation assistance.